No Knead pizza dough is a very easy and satisfying recipe that lets you make your own pizza at home quickly and with minimal fuss. You only need to whisk together flour, yeast, and salt in a bowl, let it sit overnight and you are ready to make delicious pizza. Some important tips include using instant yeast and remembering that the dough will still be good to use or three days after making it. The recipe is based on one created by a well known New York Chef. Whole wheat pizza dough will appeal to health-conscious people that cook. The pizza dough is easy to make and might be perfect for anyone to try. 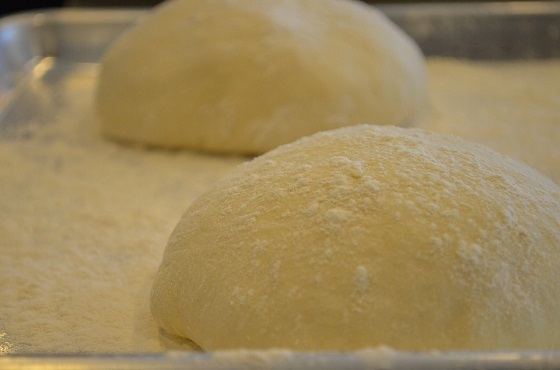 The pizza dough can also be made a few days in advance. That will save time and keep everyone involved with the project itself. Whole wheat pizza dough requires just a few simple ingredients. Bring these ingredients together for a delicious and healthy meal that evening.